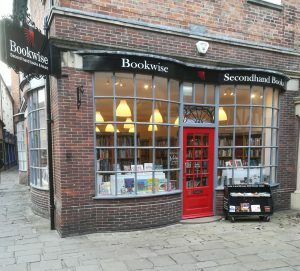 Bookwise Newark recently relocated from Church Street just a short distance into beautifully refurbished premises at 2 Queen’s Head Court. With our marvellous range of bargain books in such an attractive setting, and the Old Bakery coffee shop next door at No.4, we are now a ‘go to’ destination. Come and see! This entry was posted in Newark. Bookmark the permalink.